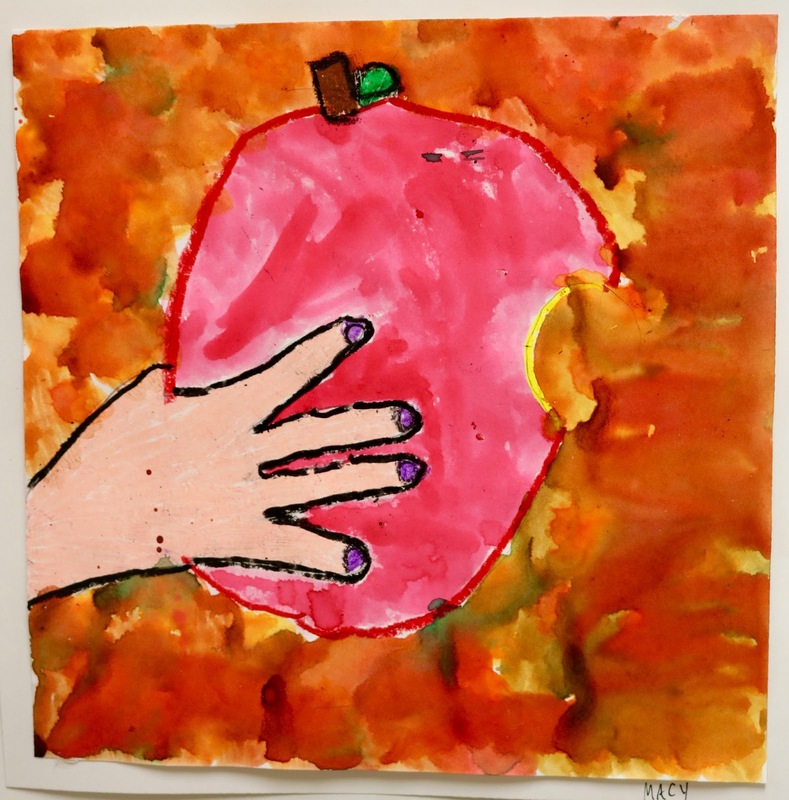 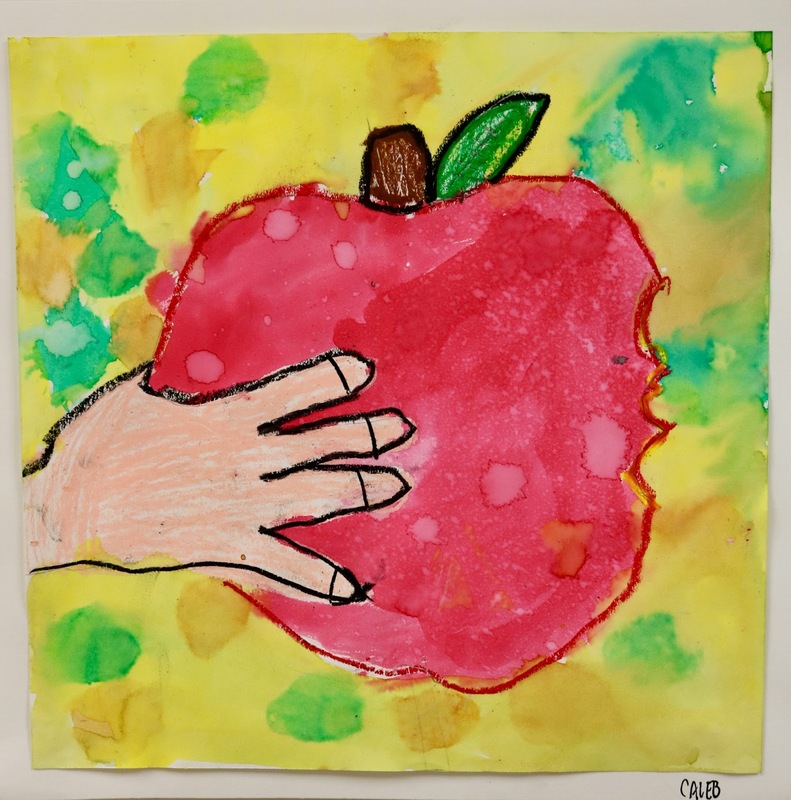 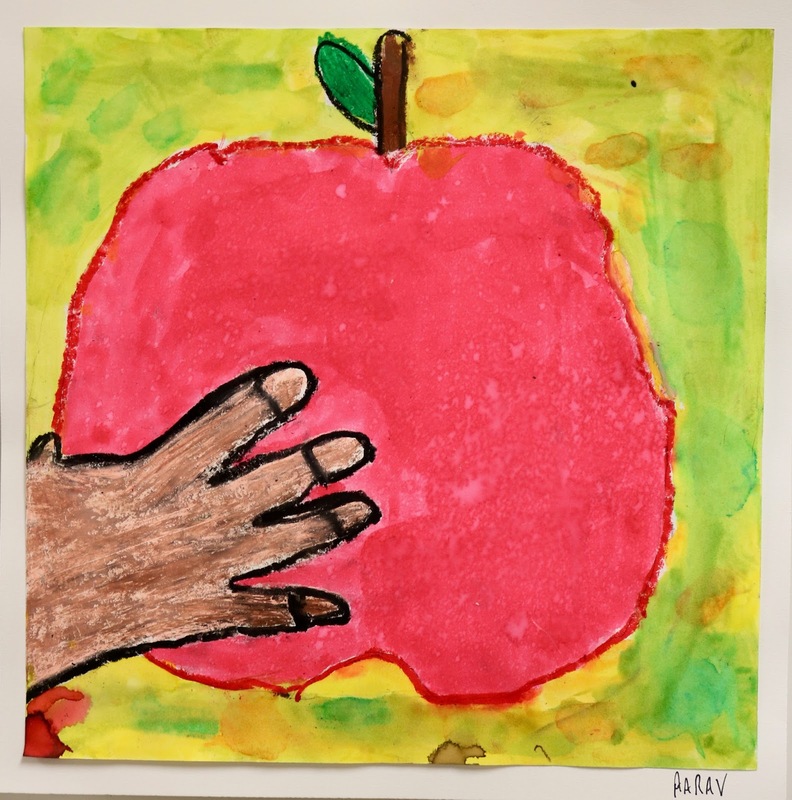 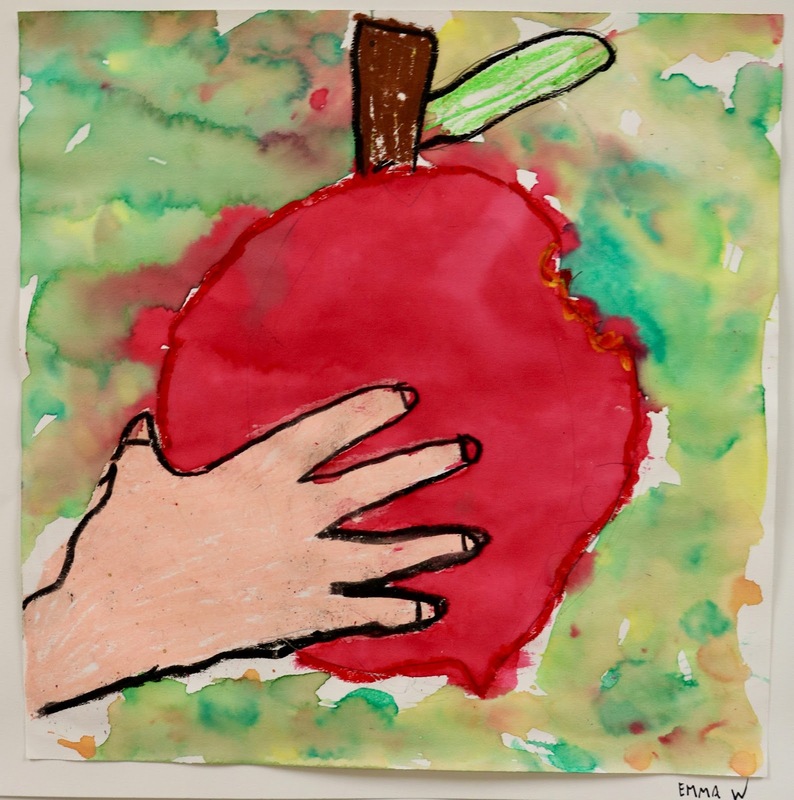 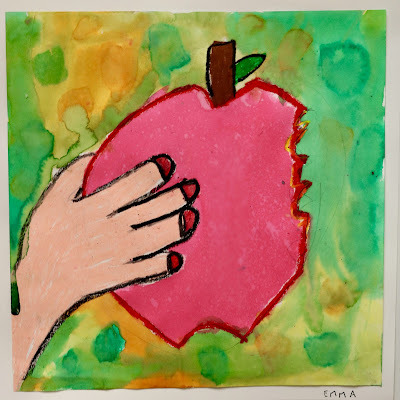 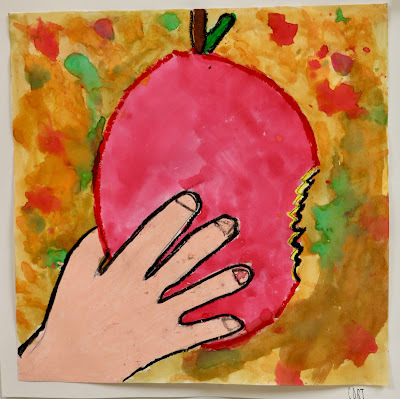 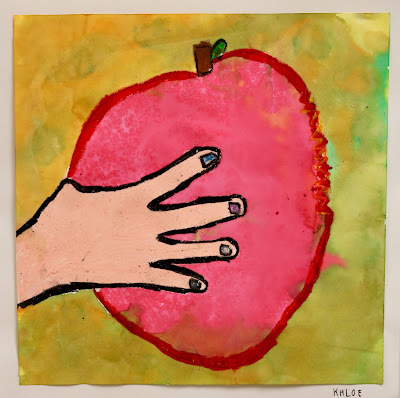 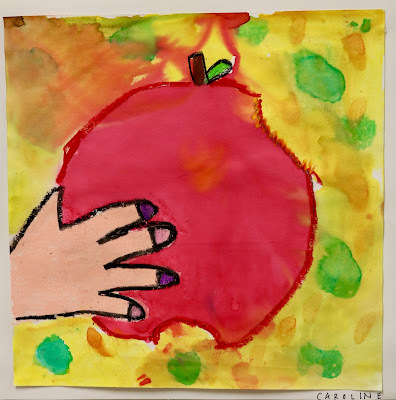 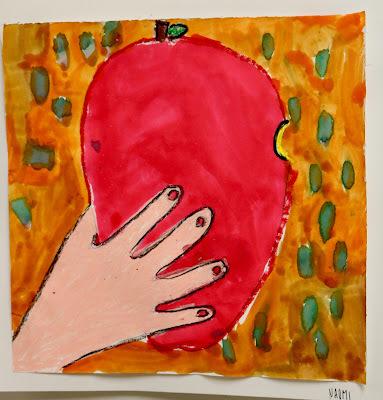 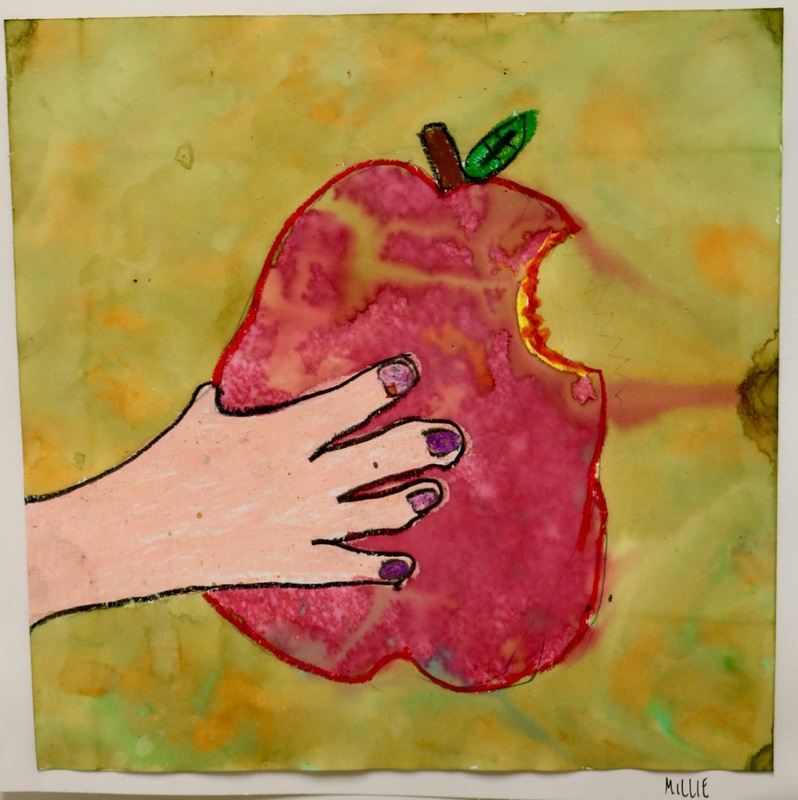 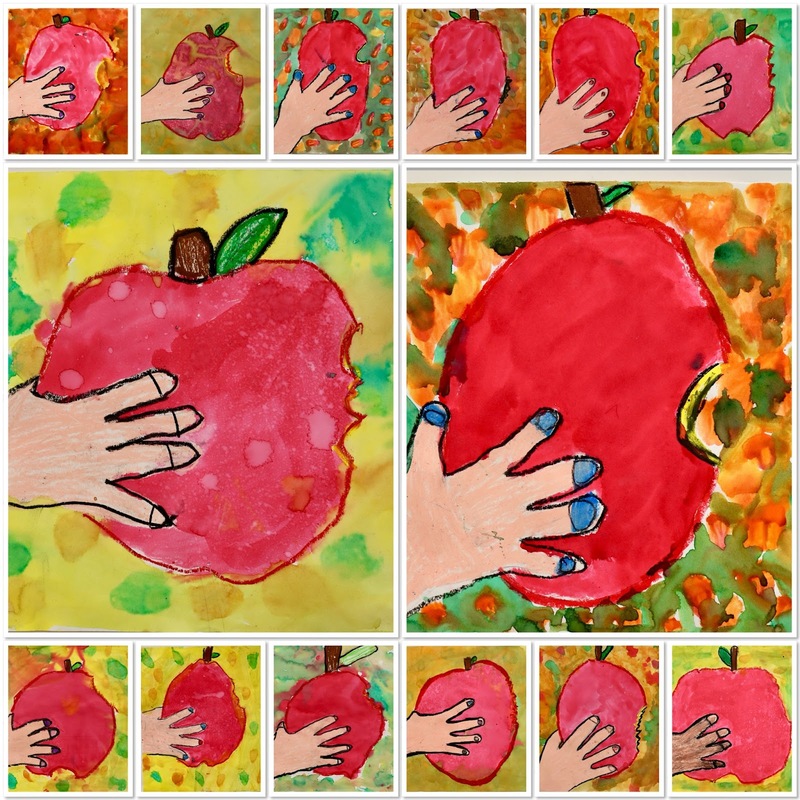 Kim & Karen: 2 Soul Sisters (Art Education Blog): How Do You Like These Apples? 2nd Grade had a blast making these apples! 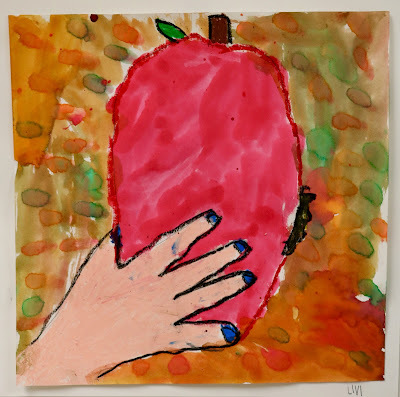 The kids drew an apple with pencil. 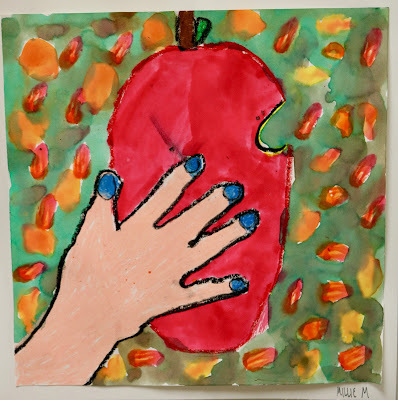 The kids placed their right hand on the apple. 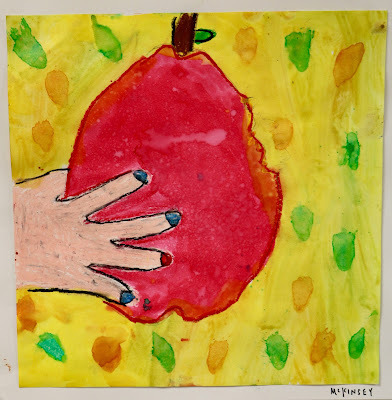 The teacher traced the right hand. The kids outlined the apple with oil pastel. 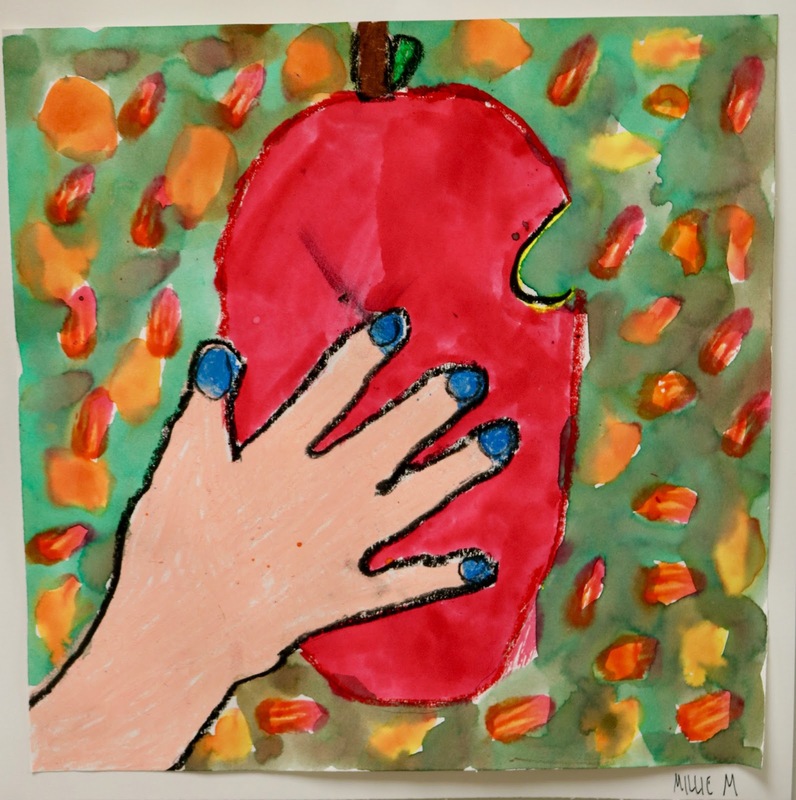 The kids used oil pastel to color their hand and nails (if they wanted). The kids painted the background fall colors to represent fall leaves. 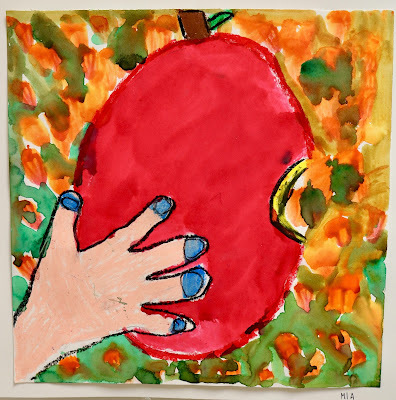 The kids painted the apple. How Do YOU Like These APPLES, NOW?